A first impression is so important. Your home's main entry is your chance to set the tone for the rest of your interior space. This is critical when marketing a home for sale and welcoming guests to your home. 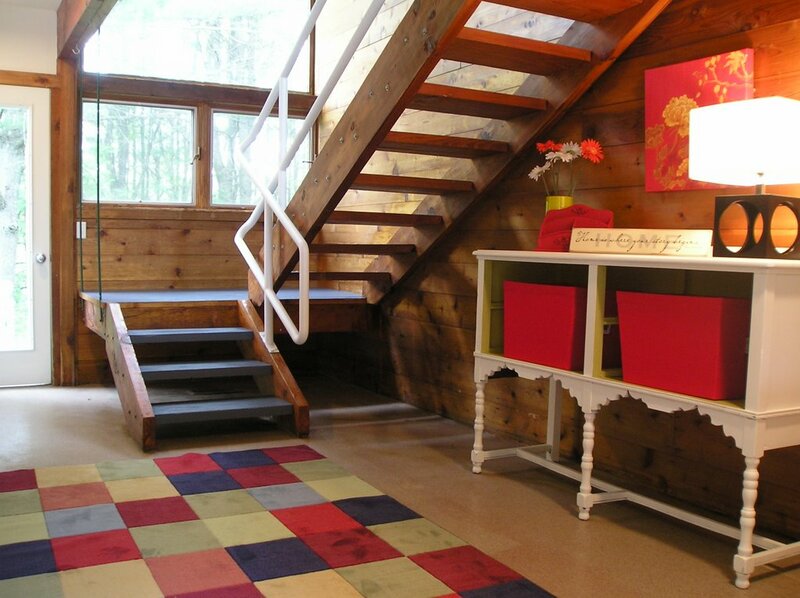 In this home we jazzed up this foyer with color and light. The furniture piece is a vintage server that I modified by removing the drawers and painting inside and out. It offers storage for everyday items and adds interest. The accessories were found at big box retailers. It is successful because it mixes styles and colors so it is interesting and different. We wanted to create a little wow factor without going overboard. Think about how you can change your everyday entry so that it will wow and welcome you home.